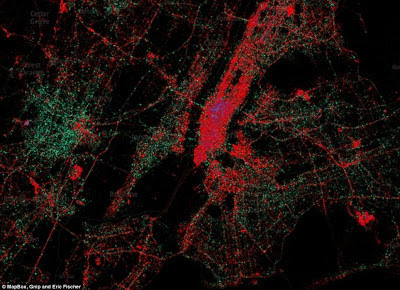 "Developed by Gnip, MapBox and tech-data expert Eric Fischer, the maps reveal that the iPhone are overwhelmingly used in the most densely-populated urban areas while the Android is more popular in the suburbs. 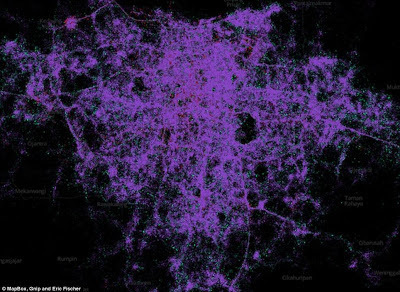 Mapbox CEO Eric Gundersen said: 'The patterns of usage in each city often reflect economic stratification. 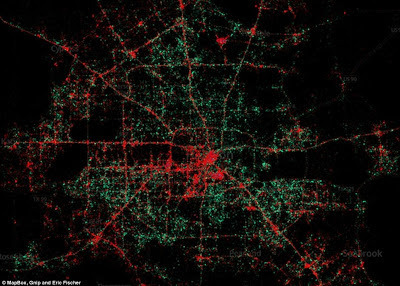 'For example iPhones, in red, are predominantly in wealthy sections of the city while Android phones, in green, have more coverage in poorer sections."